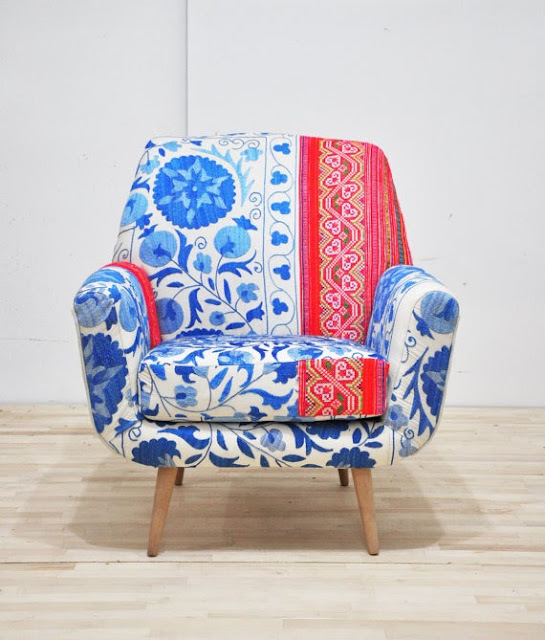 I was trolling Etsy the other day and stumbled upon the most beautiful upholstered furniture crafted in Turkey by Name Design Studio. What shocked me the most was how affordable the pieces seemed to be for a small-batch artisan retailer. Still pricey but definitely with-in reach, as opposed to similar unique furniture finds on sites such as Anthropologie. 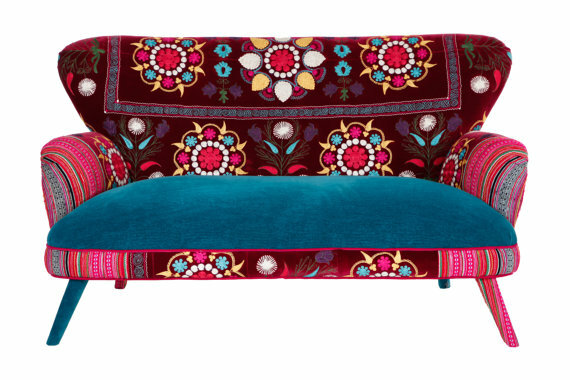 Isn't the tufting alone on this loveseat simply amazing? I love the shape of this armchair, and adore the color burst of the fabric even more. Oh, if it could be mine! 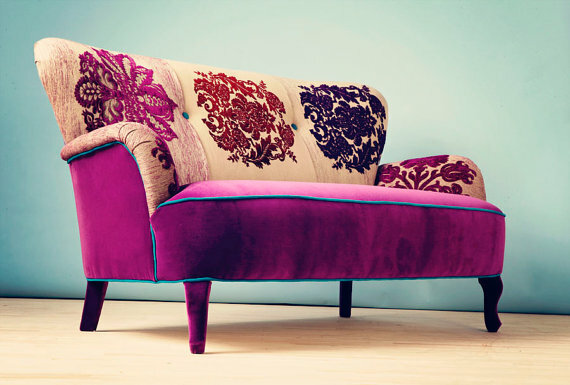 Damask sofa with fuchsia velvet and contrasting piping, oh my! 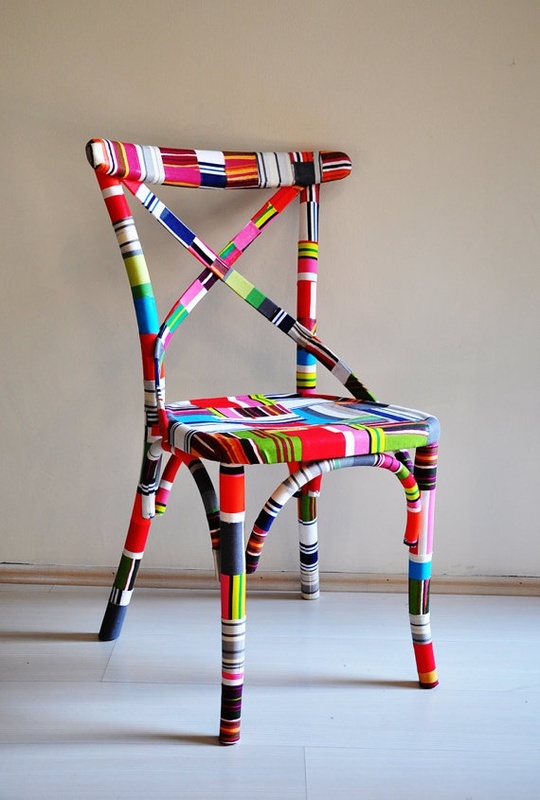 Give me six of these bistro chairs for my dining area and I'd be one happy (and colorful) camper. 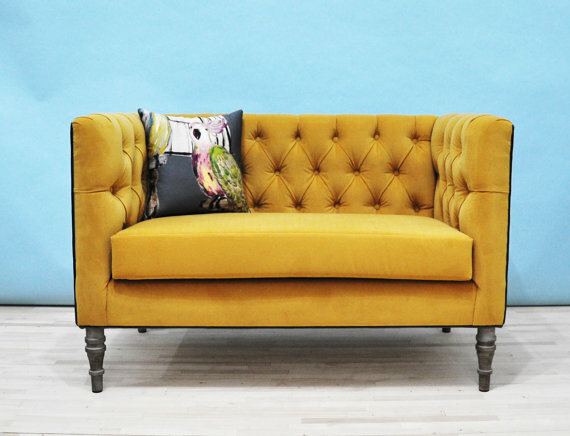 I can't help but adore the yellow base on this otherwise neutral sofa. Anything Suzani is so IN right now. 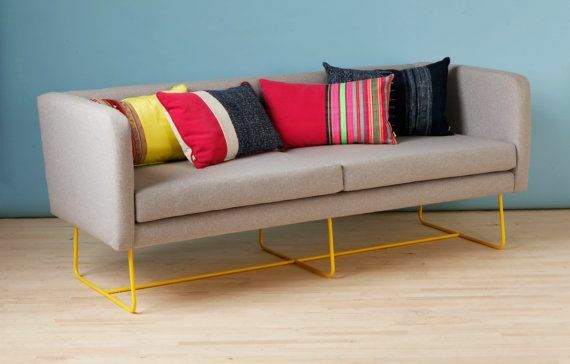 This loveseat would rock any room - to the moon and back. 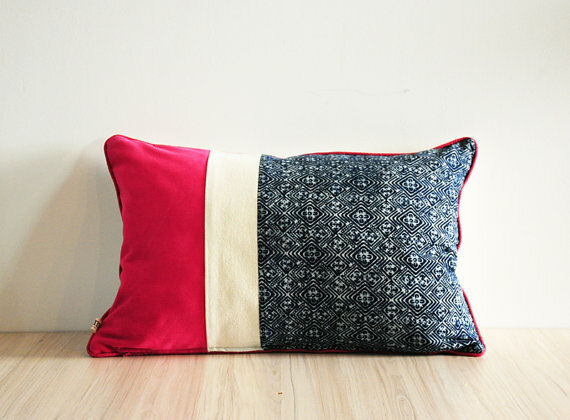 This pillow is calling my name...guess why. 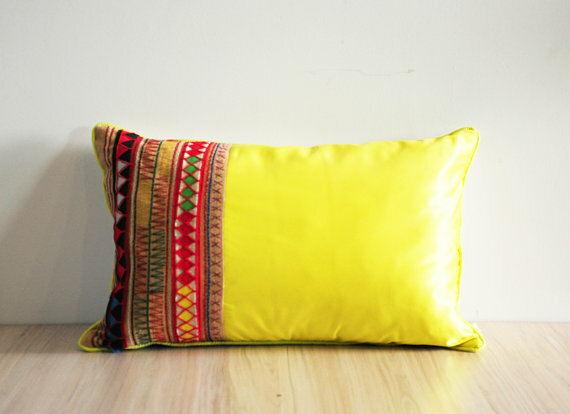 This pillow too. Because hot pink is just so pretty sometimes. 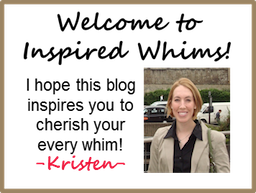 The bummer of a catch is - shipping from afar is very expensive. That said, I'm ready to hop on a plane and visit Turkey if this is the sort of wares you can find there. You'd find nothing of the sort stateside, especially in the same price range. Too cool for school!